These days the topic of the Internet of Things is a trending one. But many are not familiar with this concept. Internet of things is basically the internet connection between things, people, process, animals, surrounding etc. in a virtual way. In the concept of the Internet of Things, almost everything in our surroundings will be able to communicate with one another without the help of humans. This concept will be highly beneficial in various sectors. But like any other technology, this concept has its own challenges. It also has some issues which have to be tracked properly in order to attain the full benefit of it. Some disadvantages of using this modern technology in the field of agriculture are listed below. The use of technology in farming and agriculture making it smart agriculture, is of course, a good initiative and a much-needed one with the present increasing demand in the food supply. But there is the chance where smart farming will require certain skill sets in particular in order to understand and operate the equipment. In the case of equipment like robots and computer-based intelligence for running the devices, it is highly unlikely that a normal farmer will be able to possess this knowledge or even develop them. Farmers are not used to these high-end technologies. They do not understand computer language or the artificial intelligence. For the smart agriculture, Internet of Things is essential which will require artificial intelligence and computer-based intelligence. This cannot be balanced here. To overcome this challenge, the devices will have to be changed in a dramatic fashion so as to make it understandable for farmers. 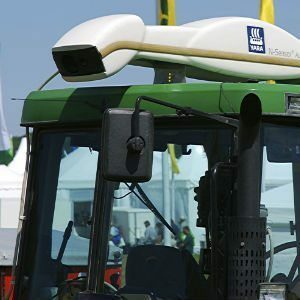 This also means that the devices should be somewhere in between where the technology experts and farmers can both communicate about it. While the use of smart technology in agriculture is impressive, it does incur a lot of costs. As said earlier, if the devices are to be altered according to the level of the farmers, it will involve a lot of money to transform these types of equipment. This, on the other hand, means that the process will cost huge money. Since the farming industry does not see higher profits, huge investments in this space are unlikely. Even after the altering of machines, there are chances where the farmers might tend to operate the machines wrongly causing it to damage or send it to repair. Since these pieces of equipment are already costly, repairing it or replacing it will again cost a lot of money. The cost of maintenance becomes high whether there is a repair or not. In the case of agriculture, most of the process is dependent on weather conditions. It is a natural phenomenon which in spite of the updated technology can become unpredictable. There is no force which can change or control the weather conditions such as rain, sunlight, drought etc. Even when the smart systems are in place, the importance of natural occurrences can not be changed. There is an issue where the machines used in smart agriculture can impact the environment in a negative manner. Since technology involves a lot of machines, there are chances where the data might get wrong at times. If there are faulty data processing equipment or sensors then it will lead to the situation where the wrong decisions are taken. This will lead to the overuse of resources like fertilizers or water. It might even lead to the over-application of fertilizers or pesticides on crops. This excessive use of chemicals might destroy the crop and reduce the richness of the land. I think the advantages of internet of things in practising smart farming is more than the disadvantages. Except having problem with the sensors and data processing devices which may lead to over use or under use of chemicals, waters and others, there’s no much things to worry about. Implementation of iot in agriculture is a good step for any modern farmer. I can tell that most iot based agriculture projects have waooed people and the disadvantage is almost none.